Looking for fun and easy “Wellness Hacks” to promote a healthy lifestyle in your municipality? Read below to discover new ways to implement Wellness strategies into your workplace! Even our small towns are promoting wellness! 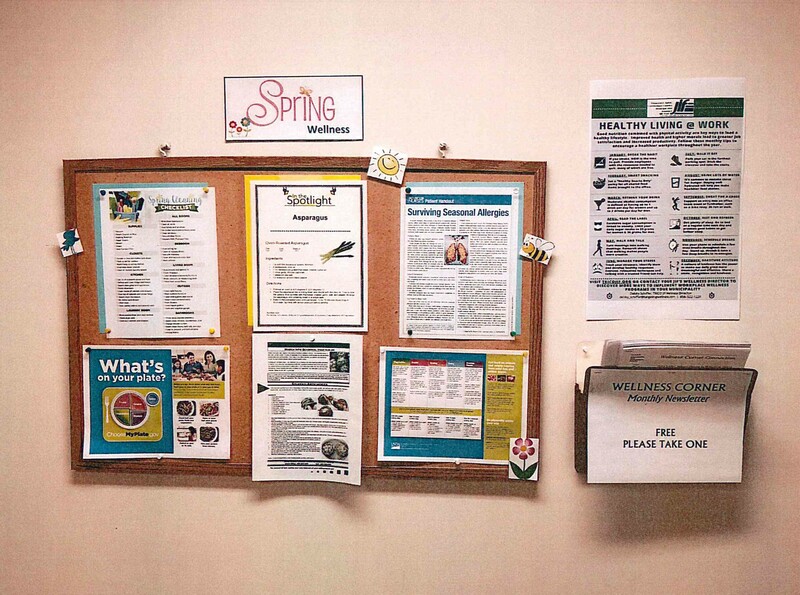 Alloway Township created a Spring Wellness Informational Board. It’s not always about the number of wellness initiatives that you implement; it’s about doing what works best for your municipality. Communicating wellness and enhancing awareness for employees can make positive lifestyle changes. Thank you Alloway Township for showing you care! 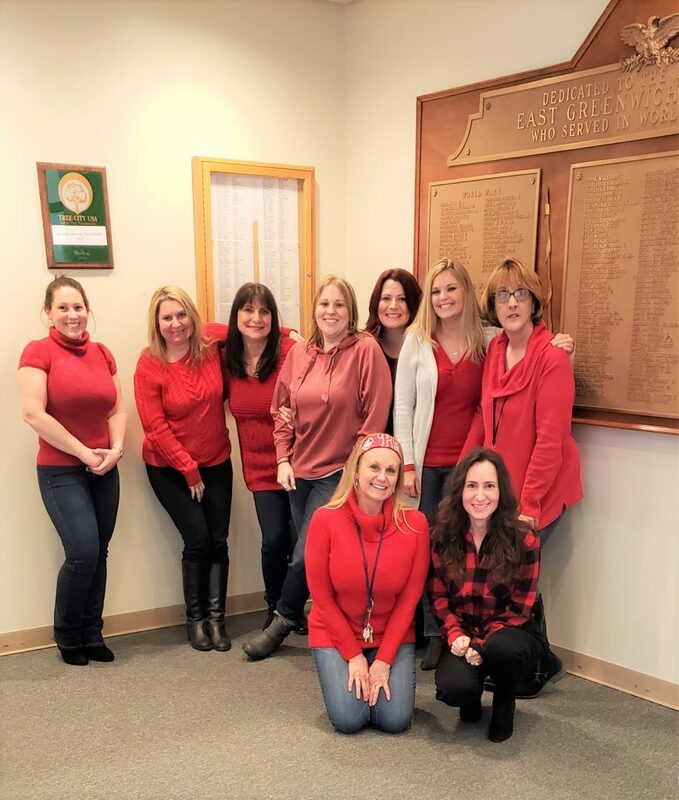 The first Friday of February has been designated National Wear Red Day. On this day, men and women are encouraged to wear red as a symbol of their support of women’s heart health. Great effort by East Greenwich Twp. for actively participating in the American Heart Association’s national movement to end heart disease and stroke in women. You can also click here to discover ways to prevent heart disease. 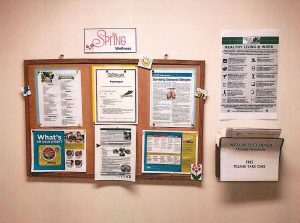 Monroe Township continues to display their colorful and attractively decorated health and wellness bulletin board, positioned next to the employee time clock. 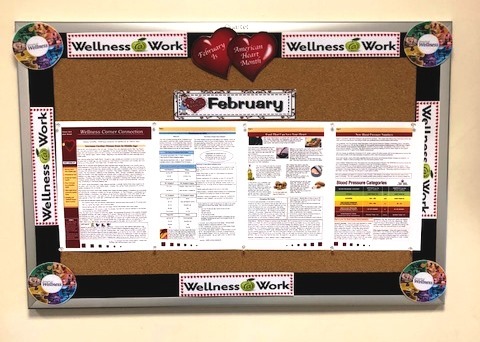 Every month, Monroe Township’s Wellness Coordinator, Dawn Farrell, prints, laminates and posts the Wellness Corner Connection Newsletter and Monthly Challenges along with any supporting information. Extra copies are stored in the adjacent bins for employees and residents to enjoy! Thank you Dawn for all your support! June is National Safety Month, and the City of Vineland is using this year’s theme, #No1GetsHurt to reinforce safety among employees. They distribute weekly topical e-mails on emergency preparedness, wellness, falls and driving. The first week’s theme for National Safety Month is Emergency Preparedness. 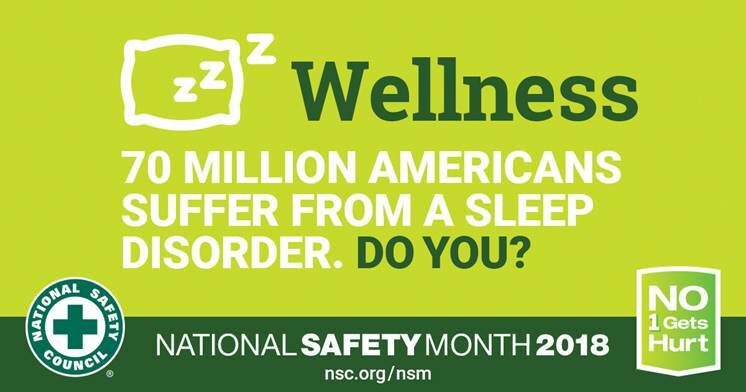 Week 2 of National Safety Month focuses on Wellness and the importance of sleep. Employees who email the Wellness Coordinator with the hash tag #No1GetsHurt will be eligible for a drawing for a $25 gift card at the end of the month. Documents supporting the weekly theme were emailed to all employees. 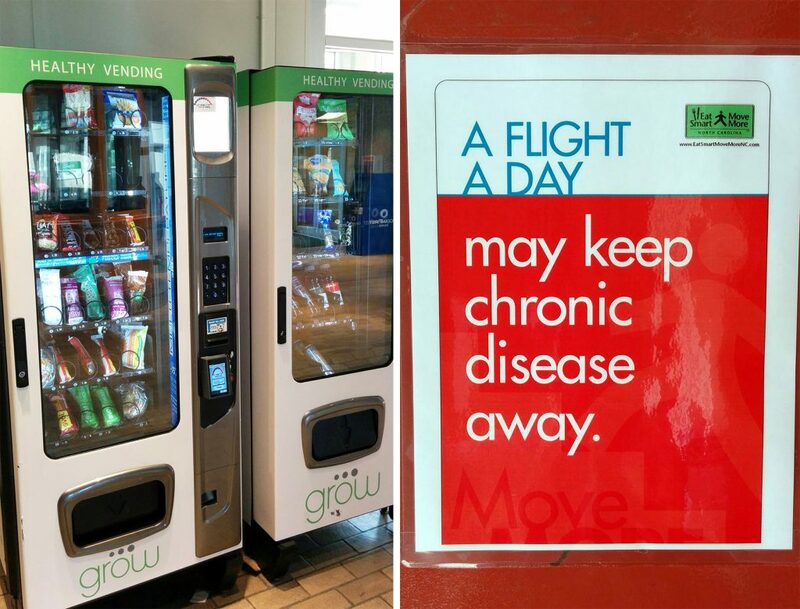 Vineland also replaced their vending machines with healthier choices! In addition, the city hung signs to encourage the use of stairs in City Hall, demonstrating that even one flight of stairs can improve your health. Way to go Vineland! Continuing the motivation towards wellness…one step at a time! Penns Grove’s Wellness Coordinator, Kayla Veltman, brings to light the, sometimes ignored, observance of Mental Health. During the month of May (Mental Health Month), employees were encouraged to enhance emotional wellness through art expression of any form. Employees displayed their creativity during a Human Science Art Gala held in the court room. Voting ballots were available for co-workers to select their favorite entry. Entrants names could remain anonymous if they wished. 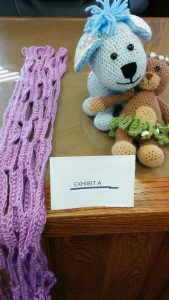 Tracy Thompson from the Police Dept won the “Human Science Art Gala” contest with her hand-made, adorable crochet characters. As the winner she received a SereneLife Home/Office Exercise Bike and a certificate of Achievement. Everyone enjoyed a healthy lunch in celebration. Thank you Kayla for promoting and supporting wellness! The City of Vineland municipality celebrated their Annual Diva Night in style with a Mardi Gras flare. Organized by the very creative and ambitious wellness coordinator, Denise Ciulla, 15 Vineland municipal employees gathered at Inspira Radiology in Vineland for their annual mammogram. Two teams were formed and encouraged to used their creativity to decorate a female undergarment in honor of the “Mardi Bras” theme! A member from each team volunteered to “model” the “artwork”. Games were played and chair massages offered to help create a supportive and friendly environment. As women completed their turn in the examination room, they were greeted with Mardi Gras beads and cheers! Food was offered for those who waited. One employee shared her baking skills by bringing in a cake replicating a festive swim suit top. What a great way for women to share in what can be a very “pressing” situation! Monroe Township’s new Wellness Bulletin Board is conveniently mounted next to the employee time clock. 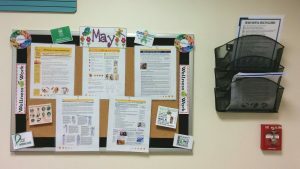 The monthly Wellness Corner Connection Newsletter will be displayed along with wellness handouts and program announcements. Remember: the key to having a successful wellness program at work is encouraging overall well being while still keeping it fun! 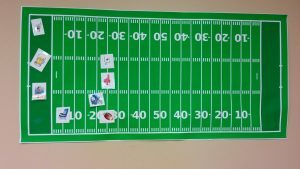 Check out Swedesboro’s “Touchdown Challenge” which kicked off January 1st and ran through Superbowl Sunday! It’s an easy to way to motivate employees to stay on track with an exercise routine. 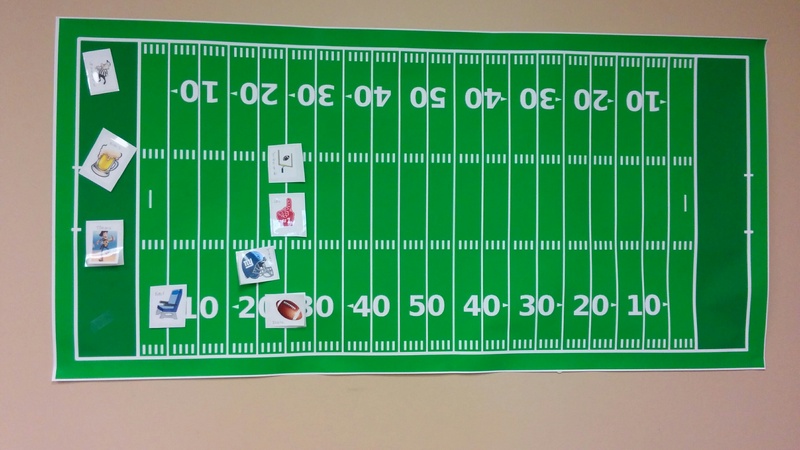 Organizers found an online football field pic, enlarged it at Staples and participants created their own playing piece. For every four workouts completed, you advance 25 yards towards the end zone. One workout equals a minimum of 30 minutes of exercise on a given day. For every 25 yards you move, your name is entered to win a chance at a prize. Reach the finish line and earn another entry. You can earn up to 5 entries. Mantua Township recently converted a “Break Room” into a “Wellness Room.” They hung beautiful inspirational posters, added fresh carpeting, music, PLUS a new treadmill which was unveiled to excited employees in December. This room promotes overall employee health with exercise, a refrigerator for healthy packed lunches and a place to relax and de-stress for a few minutes. Way to go Mantua! The City of Vineland employees vowed to abstain from using the elevator and ONLY use the stairs. Much like the contestants on the popular reality show Survivor, these brave employees challenged each other to use the stairs for 39 days! Anyone caught using the elevator was immediately eliminated. Out of 32 people who started this challenge, 27 actually went all the way to the finish line! Collectively, they walked a total of 17.410 flights with the winner completing 2,182 flights on her own! What a great challenge of endurance, determination, and perseverance. Physical as well as mental strength was built on this one! 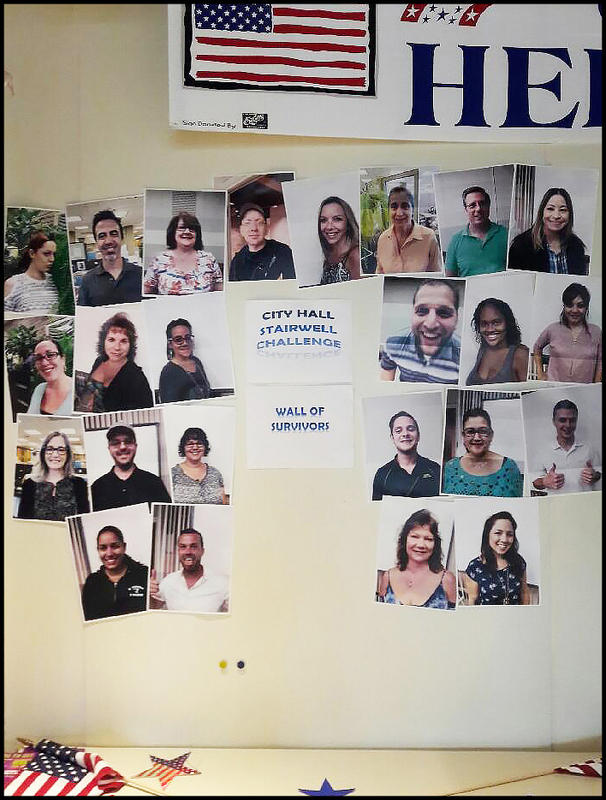 Congratulations goes out to all 32 employees who had the courage to even try! The photo shows those participants and was hung on the Wall of Survivors.